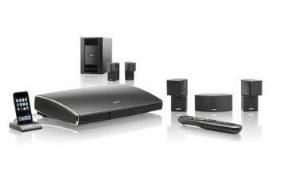 Bose launches four new Lifestyle systems and new Unify control system | What Hi-Fi? The new Lifestyle V-Class and T-Class home cinema systems aspire to be the company's easiest ever products to setup and control, simplifying the sometimes complex functions and features of an AV system. Since 1990 and the launch of the company's first Lifestyle system, Bose has always aimed to bring premium performance to the masses and the Unify system certainly seems to make the process simpler than ever. Focusing on clear on-screen menus and using a brand new, universal learning remote control, the new products should make setting up your system an absolute doddle. Personalised menus which show what sources you have connected to what inputs, a simplified, intuitive remote, customised cable connections and easy to follow on-screen displays shouldn't bamboozle even the most inexperienced user. Leading the way are two V-Class models, the Lifestyle V35 and Lifestyle V25, rolling out to Bose retailers from today at £4499 and £3499 respectively. The main unit is the same and sports four HDMI inputs, 1080p upscaling, HD audio support, an FM/AM tuner and an iPod dock complete with video and audio playback. The V35 system features Bose Jewel Cube speakers, while the V25 has the Direct/Reflecting speaker system. The T-Class products, the T20 and T10, will sell for £2499 and £1999, and offer similar functionality minus the FM/AM tuner and iPod dock. Again, the key difference is the speakers, the T20 and T10 using speakers from the Direct/Reflecting or Virtually Invisble speaker ranges respectively. Read our blog for more images of all four systems.